The London Olympics 2012 has just concluded, but the fever among the sport enthusiasts never will. 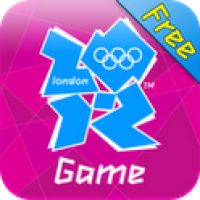 After having various spin-offs of Olympics games available on different platforms, London 2012 – Official Game is nothing on the same lines. It is different and actually serves up the Olympic games with panache. The game was developed by Neowiz Internet, a developer who has developed quite a few premium apps and their legacy can be seen in London 2012 – Official Game. Players start out by creating their own personalized character and allotting them certain basic abilities; ranging from Strength, Balance, Agility, Flexibility and Mentality. Based on which ability you pick, your charcter will be allowed to participate in certain events. The game covers a total of nine events across five sports – athletics (100 metres, 110 metres hurdles, triple jump and pole vault), swimming (100 metres freestyle, 100 metres butterfly), kayaking, shooting (double trap) and archery. So, if you pick strength, you will be allowed to do the sprints and swimming, if you go for balance, you get the pole vault, and the works. Instead of the controls being old-school on-screen D-pad, the developers have gone the extra mile and integrated gesture control for almost every event playable. So to sprint on the track, players will need to tap their fingers on the screen as fast as you can without both fingers touching the screen (if they do, the athlete takes a toss or stumbles); to swim, players need to slide their fingers up and down the screen; to shoot, players tilt their device to get the target in focus, and so on. The game is addictive and there are no two ways to it. Overall the graphics are decent, but it works like a charm on the new iPad, compared to the higher-end Droid beasts. There was no sign of stutter on either the iPad or iPhone. I would suggest the Android crowd to turn off notifications for a lag-free experience.